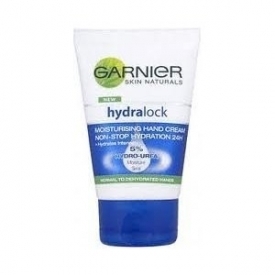 Hydralock Hand Cream works on your hands and locks moisture in to ensure hydration, leaving your hands feeling supple and soft. It comes in a compact size of 50ml, a definite handbag must have! Fantastic hand cream, definate must! Best cream around. Price is great, easy to use and absorbs really well. I purchased this hand cream one day when my partners hands were really dry and chapped when we was out, within the first use her hands were less sore and dry. Within a week, her dryness had cleared up really well and were no longer chapped. Her hands were so soft and smooth and they did not feel rough against my skin. Easy to keep on you at all times. Does not leave hands feeling greasy and absorbs really well.